After Hawaii became the 50th state in 1959, the Big Five companies which had dominated Hawaii over the past century lost much of their political and economic influence. The increasing strength of labor unions had forced plantation management to realize that they no longer held all the power. Workers had already gained much of the progress they sought, so labor disputes had become a thing of the past. Democrats took over the territorial legislature from big business Republicans in the years just prior to statehood. Special elections for the new United States Senate and House seats confirmed the Democratic party's appeal to mainstream Hawaiians. The single House seat went to Dan Inouye, who became Senator in the early 1960s and has held that position since. As the sugar and pineapple industries slowly waned, tourism continued to increase. High-speed jets, which accommodated many passengers, helped fuel the industry. A growing economy in the U.S. also meant that Americans had more disposable income to spend on travel. A lot of G.I.s who had been to Hawaii during World War II returned later as tourists. The continued growth of the tourism industry demanded construction of hotels, resorts, new roads, and other infrastructures. Not only did construction companies benefit, but related industries such as concrete plants and architecture firms reaped the rewards of the tourist boom. Due to established labor unions, the numerous jobs created by the boom paid well. Another product of tourism was a revived interest in traditional Hawaiian culture, especially its art, dance, and music. Hawaii's unique native culture was a definite attraction for tourists; for native Hawaiians, rediscovering their identities was important. Hawaii's beauty and mild climate, coupled with its strong economy, drew many people to permanently relocate there. The demand for land was high, but the terrain of the islands limited the amount which could be built upon. This high demand and limited availability increased real estate prices drastically. Many Hawaiians could no longer afford to buy a home. Both the native Hawaiians' desire to return to their roots, and the state's land issues contributed to greater demand for sovereignty. In addition to the real estate problems caused by new residents flocking to the islands, the Hawaiian Homelands Act of 1920 didn't work as intended. Many of the 188,000 acres that had been set aside for homesteading by native Hawaiians were too arid to farm. The best acres weren't available to them; instead, they were leased out. Only a small portion of the land was being used for its original purpose, and the long list of Hawaiians waiting for land kept growing. In 1978, the Office of Hawaiian Affairs was created, partly to hold title to the land given to Hawaii when it became a state. But, because the OHA was funded by the state legislature, many people felt there was an inherent conflict of interest. A commission formed in 1983 to study the issue of reparations to native Hawaiians decided against it, sparking outrage from a wide variety of the state's residents. Sovereignty groups with various agendas began to spring up in the 1980s. Although these groups all advocated for the return of land to native Hawaiians, they held different opinions on how to do it. The three basic ideas included: a similar system to Native American agreements, where the land is limited to specific areas still under federal control; self-governing areas within Hawaii; and Hawaii's complete independence from the United States. In the 1990s, several factors led to big changes. The majority of sugar and pineapple plantations shut down; the few remaining served mainly as tourist attractions. With the former plantation lands open to new uses, different agricultural crops took over. Production of macadamia nuts and Kona coffee increased. Growth of papaya, taro, flowers, and other garden plants added agricultural diversity. Eucalyptus trees were planted to supply Japan with pulp for paper, and timber bamboo became a popular replacement for hardwoods in flooring, fencing, and furniture. Another boost to Hawaii's economy was film and television production. While it had increased slightly every decade since the 1950s, in the 1990s it jumped dramatically. Almost three times as many films and television episodes were shot in Hawaii than in the 1980s. At the same time, growth of both the tourism industry and the population slowed down. Although this also slowed the real estate market, rent prices went up in the early 1990s. Many Hawaiians were evicted, leading to tent communities on the beaches. This massive homeless problem gave further impetus to the sovereignty movement. President Clinton passed a public law in 1993 formally apologizing for the overthrow of the Hawaiian monarchy in 1893. The law used extensive quotes from President Cleveland's report to Congress. Native Hawaiians saw it as a hopeful sign that further gains might be made. Senator Daniel Akaka (D-Hawaii) introduced legislation in 2000 to acknowledge native Hawaiians as indigenous people, grant them the same rights as Native Americans and Alaskan natives, and pave the way for federal recognition of a future representative body of native Hawaiians. Supporters also feel that it would help make reparations for the injustices faced by native Hawaiians since the monarchy's end. The "Akaka Bill," as it's commonly known, has so far been unable to pass cloture (a procedural vote) in order to get to the Senate floor. A cloture vote on June 1, 2006, fell just four votes short. If it does reach the Senate floor, it will need less votes to pass, but then it would need to be signed by the President to become law. The Justice Department sent a letter to the Senate expressing the Bush administration's strong opposition to the bill, on the grounds that it's too racially divisive and that the recognition given to Native Americans is "inappropriate" for native Hawaiians. Senator Akaka and his supporters remain committed to getting the bill approved. 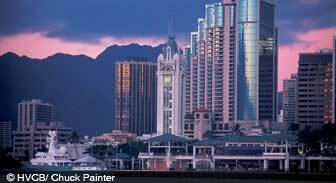 After the terrorist attacks of Sept. 11, 2001, tourism in Hawaii decreased tremendously. It rebounded fairly quickly, though, as people lost their fear of flying. Tourism still remains Hawaii's number one industry. However, film and T.V. continues to grow strong, with the number of productions in the 1990s already surpassed since 2000. Agriculture has kept up a steady pace, as well. Due to the large number of indigenous plants and animals on the endangered species list, restoration of Hawaii's natural habitat has become a priority. To aid these efforts, trees such as koa and ohia are being replanted on the upper slopes of volcanoes. In the future, these trees may also spur a woodworking industry, creating new jobs. Despite the declines of the 1990s, Hawaii remains strong. However its people resolve the issues currently facing them, one thing is certain: this slice of paradise in the Pacific will continue to fascinate visitors for years to come.